This post is long over due, but a couple months ago Google announced that they are planning to move their fleet of jets from Moffett Field over to SJC. This new $82M facility would be built on the west side of the airport off Martin Avenue and would include an executive terminal, hangars, and ramp space that can handle planes as large as Boeing 767s. 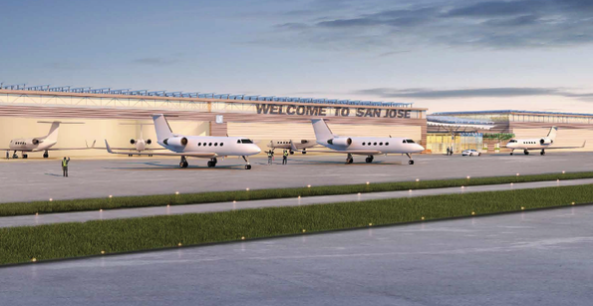 Over the term of the 50-year lease, it should bring in about $130M to SJC (which is owned by San Jose) as well as add over a hundred new jobs to our economy. The project is a joint venture between Signature Flight Support and Blue City holdings San Jose (which manages Google's planes). The total square footage comes out to be just over a quarter million: 17,000 SQFT for the terminal, 24,000 SQFT for shops, and 240,000 SQFT of hangar space. 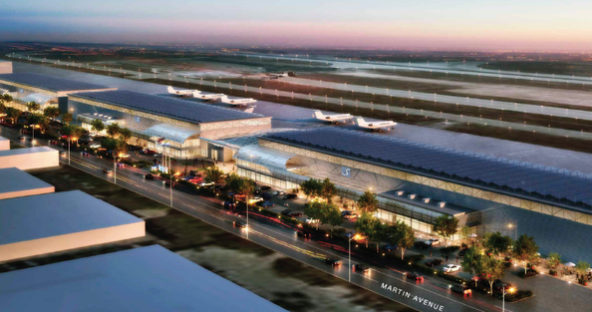 If this project is successful, it could mean more companies moving their aviation facilities to San Jose and the airport getting extra attention (may help us nab a few more international flights). Also, if Google execs are flying out of SJC, there is a good chance Google will be sending more of its lower-level employees through SJC as well instead of SFO. 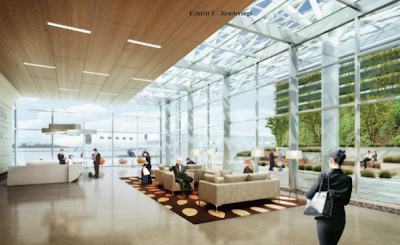 This could potentially be a very big win for the airport and the city. Good news for sure. 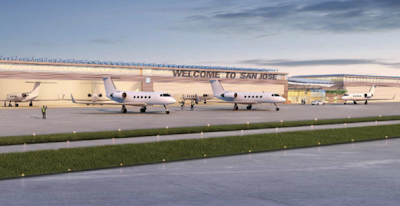 The bad news though: SJC will be located in central San Jose for the long haul (at least past mid-century)...ugh! To bad flights weren't leaving SJC for Moffett instead. Oh well. Time to get use to a flat skyline downtown for at least the next 50 years, and time to consider raising the roof to 700 ft. at N1 NSJ!